This section is designed to prepare students for Transport Canada as PSTAR examination, which is required by student pilots before they can complete their first solo flight. While this section focuses on the Canadian Aviation Regulations, it also includes reference to flight operation procedures and requirements, as well as human factor elements, that are included in the Study Guide for the PSTAR examination. 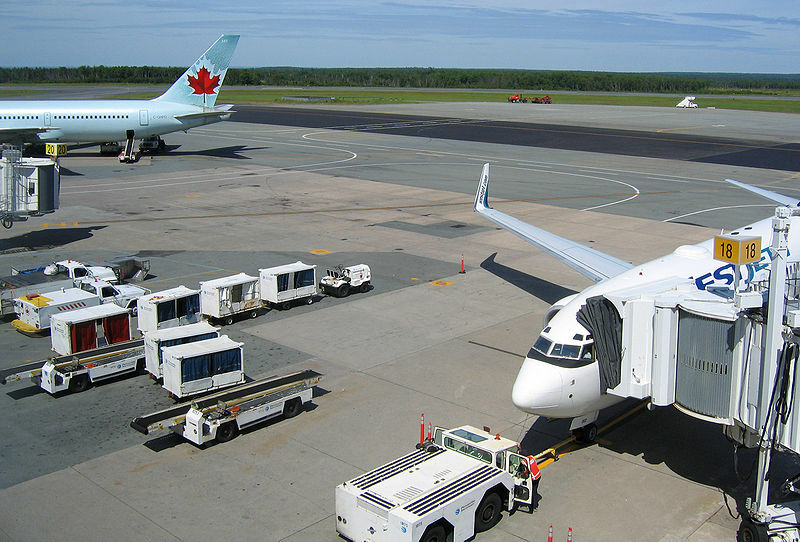 Two types of airports exist in Canada: an aerodrome: which is “any area of land or water designed for arrival, departure, and movement of aircraft,” and an airport, which is an aerodrome that is certified by Transport Canada for either public or private use. As is indicated in the diagram above, runways are numbered in accordance with magnetic track in Southern Domestic Airspace (as opposed to true track in the Northern Domestic Airspace2), the number is rounded to the nearest 10° increment and the third digit is dropped (340° equals 34). Taxiways are lettered (Alpha for A, Bravo for B, etc.). Aprons (aircraft loading and servicing areas) are numbered. Yellow lines track the centre of taxiways, and broad double yellow lines (one solid, and one dashed) indicate the “hold-short” positions. 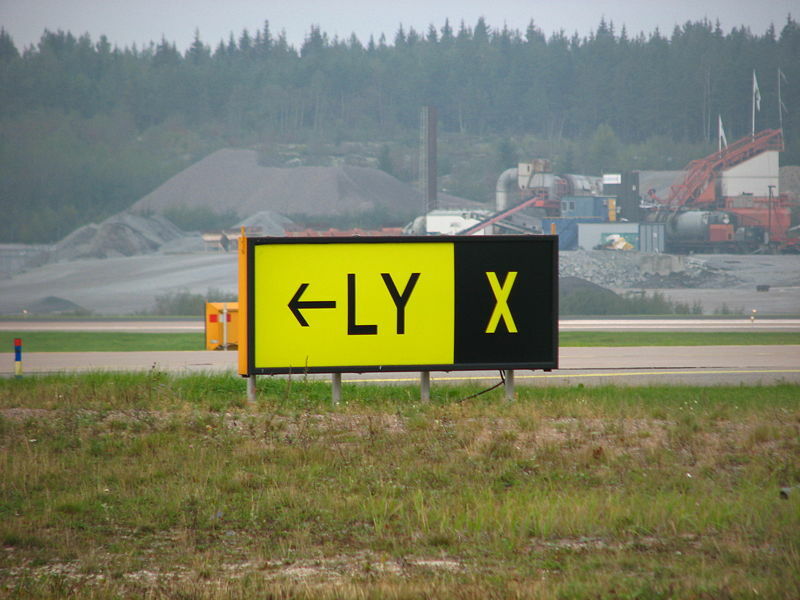 A closed runway or taxiway is indicated by a white or yellow “X” that is 20 ft. in length. Where a runway at an airport does not have a prepared landing surface, the takeoff and landing area will be delineated by international orange and white markers; at an aerodrome, the same area will be shown by international orange markers (no white). Mandatory Instruction Signs are signs located where a taxiway leads onto a runway and instructs the pilot to hold short and clear the runway; these signs are indicated by white letters, numbers, or symbols against a red background. Where aircraft movements are supervised by a Control Tower, Mandatory Instruction Signs required that a clearance be received by the pilot before proceeding further; where aircraft movements on a runaway are not controlled by a control tower, the pilot can only proceed beyond a Mandatory Instruction Sign if he or she has determined it safe to do so. Direction (location) Signs do not display the colour red, but are based on either a black or yellow background, and give the present location of the aircraft (black background), and the approaching taxiway (yellow background). Windsocks indicate wind direction and speeds. The sock is horizontal for winds greater than 15 KTS (KT), 5° below horizontal for 10 KT, and 30° below for 6 KT. Traffic circuits (referred to as “traffic patterns” in the US) are standard patterns located 1000’ AGL (above ground level) flown by aircraft for the purposes of landing and taking off. They are composed of two sides: downwind and upwind. In a standard circuit, the downwind side is the active side, while the upwind side is the non-active or “dead” side. The active side is comprised of four “legs”: crosswind leg, downwind leg, base leg, and final leg. A fifth leg commonly referred to is the crosswind midfield leg. 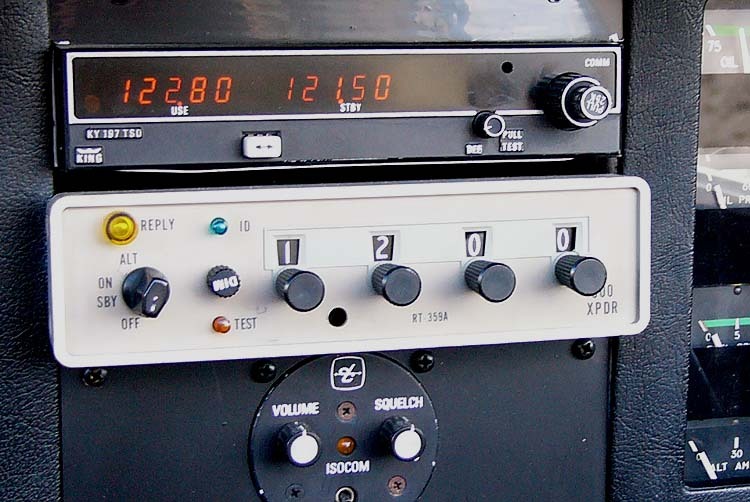 Uncontrolled airports lack Air Traffic Control (ATC); instead, pilots broadcast their positions on a UNICOM VHF frequency.4 We refer to such airports as ATF airports—Aerodrome Traffic Frequency. When arriving, they report their position (including altitude), intentions, and ETA when 5 minutes from the airport area; they report when joining the circuit, when established on final approach, and when clear of the runway after landing. To reduce the risk of traffic conflict, the rules for joining the circuit are restrictive. At ATF airports pilots must position themselves on the upwind side of the active runway (runway in-use) and cross over to the downwind side at circuit altitude. Crossing over the runway in this manner, the track of the aircraft is essentially perpendicular to the downwind leg. When the pilot has sufficient distance from the runway to provide room to manoeuvre the aircraft, a left turn or right turn (depending on the direction of the published circuit) is made to enter the downwind leg at the abeam the mid-point of the runway. A pilot may also join straight-in on the downwind leg (at circuit altitude), but only if this does not create a hazard to other aircraft. Whenever joining the circuit, the pilot should report over the radio if able when turning on to the downwind leg. Busy uncontrolled airports have mandatory frequencies (MF), as published or indicated in the Canada Flight Supplement. Typically MF airports are those which are busier than ATF airports, but not busy enough to warrant a control tower. They are also typically found at airports with frequently used “instrument approaches,” where pilots use navigation equipment to make an approach for landing while still in the clouds (without visual reference to the ground). At an MF airport, position reporting by pilots over a prescribed VHF frequency is mandatory, and all pilots must maintain a listening watch. MF airports are commonly associated with Flight Service Stations (FSS), which provide air traffic services, but they can also be uncontrolled airports that lack an FSS. A FSS unit is composed of NavCanada staff (the agency which administers air traffic control in Canada) that are trained to “co-ordinate” air traffic by relaying information to inbound and outbound air traffic. 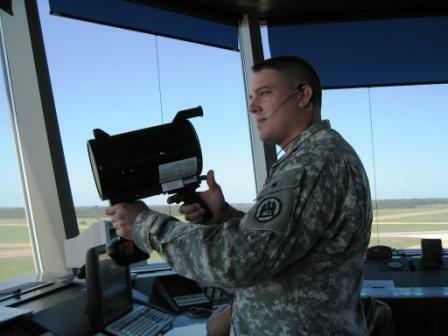 Importantly, a FSS unit does not issue clearances to aircraft as a control tower does; instead, FSS simply provides an advisory service to pilots whereby pilots must keep FSS staff advised of their intentions and aircraft positions and movements. Controlled airports are surrounded by control zones which are controlled by an Air Traffic Control Unit (ATCU), usually a control tower (control zones are discussed below). However, some control zones, such as those which surround Nanaimo and Kamloops Airports, are administered by FSS where MF rules are in effect. As a rule, control zones with control towers are considered to be Class C or D Control Zones, while control zones with FSS using MF rules are considered Class E Control Zones (classifications are discussed later in this chapter). Prior to entering the control zone a pilot must contact the ATCU, usually a control tower, report his aircraft type, position and intentions. The pilot is then normally provided with a clearance. While in the control zone he must maintain a listening watch. The tower controller may provide specific clearances, or he may say “cleared to the circuit” whereby the pilot is expected to join the downwind leg at circuit height. When NORDO flights are permitted, or in case of communication failures, ATC uses a light gun to communicate clearances, the interpretation of which is indicated in the table (right). Light communications are acknowledged by the pilot by rocking the wings (day) or a single flash of the landing light (night). While in controlled airspace where ATC has authority for the operation of aircraft, controllers can issue two types of directives: a clearance, and an instruction. When a pilot has received and accepts a clearance, the clearance must be complied with, unless the pilot feels it unacceptable for reasons of operational safety. 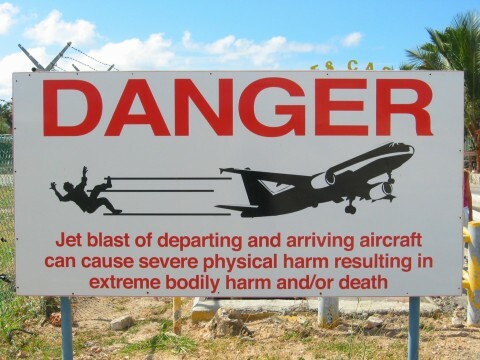 If the pilot feels it is unacceptable, he or she must immediately inform ATC of this fact. The geographic classification of Canadian Airspace is specified in the Designated Airspace Handbook, something that is rarely seen in pilot bags, but which is available should detailed reference to airspace dimensions be required. Canadian Airspace is divided into two fundamental areas: Northern Domestic Airspace (NDA) and Southern Domestic Airspace (SDA). The division has a few important rules: While the proper cruising altitude in the SDA is based on magnetic track, cruising altitude in the NDA is based on true track (discussed below). Additionally, runway headings are also based on magnetic track in the SDA, while true track is used in the NDA. Finally, rules for altimeter settings are also based on the SDA/NDA division (also discussed below). Generally, NDA consists of airspace located north of Inuvik, Yellowknife, Churchill, Ivujvik and Iqaluit. IMPORTANT: Do not confuse the seven classes with rules of weather minimum regulations that are quite different. Weather minima are established based on the fundamental difference between controlled and uncontrolled; for practical purposes, of the seven classes, only Class G is uncontrolled airspace. All airspace from 18000’ to Flight Level (FL) 600 (60,000’). Controlled airspace (referred to as High Level Controlled Airspace) whereby all aircraft must have a clearance. Controlled airspace (referred to as Low Level Controlled Airspace) whereby aircraft must have a clearance. ATC provides traffic separation to IFR flights, while VFR receive traffic information (and conflict resolution upon request). NOTE: a pilot must communicate to ATC any concerns related to pilot responsibilities. Class C airspace reverts to Class E status when ATC services are not operating. 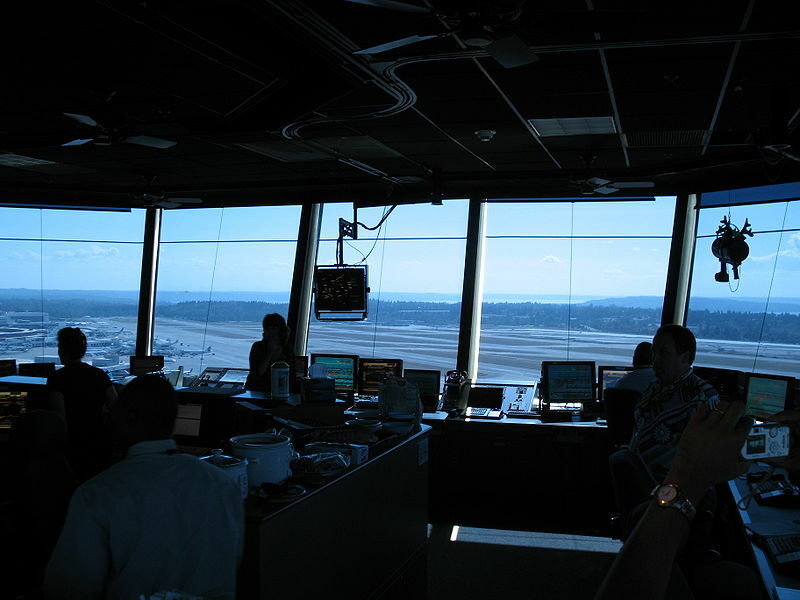 When the Control tower is closed at Langley Airport, for example, the communication used by pilots in the control zones reverts to ATF/MF (MFA) rules and procedures, where pilots direct radio communciations to “Langley Traffic.” At other airports—Prince George or Abbotsford airports, for example—remote FSS units provide MF ground services. In the case of Abbotsford Airport, pilots communicate remotely with Cranbrook Radio, while in the case of Prince George, pilots communicate with Williams Lake Radio. Class F airspace is specifically described in VFR Navigation Charts (VNCs), as well as a publication entitled Designated Airspace Handbook (Transport Canada). The type of Class F airspace is indicated in the identifier published in charts, of which the following is a typical example: CYA123(T). “CY” indicates that the airspace is in Canada. The third letter, in this case “A,” indicates the type of airspace; there are three types—”R” meaning “restricted” and “D” meaning “danger,” both of which cannot be entered as specified on the chart (“D” only appears in relation to restricted airspace in international waters), and “A” meaning “advisory,” which can be entered. Class F areas designated CYA are associated with special flight activity and caution should be used. The type of activity is indicated by the letter in parentheses “(T)” where “T” indicates flight training. Others are acrobatics (A), test flight areas (F), military training (M), hang gliding (H), parachuting (P), and soaring by gliders (S). Unless otherwise specified, the radio frequency 126.7 MHz. should be monitored in Class F areas. Class F restricted areas (CYR) may be created by Notices to Airmen (NOTAMs) and may therefore not appear on charts. Further Readings: Transport Canada's Restricted Area — What Restricted Area? IMPORTANT: Unless, controlled airspace is specified on a chart, Class G uncontrolled airspace extends up to, but not including, 18000’. Airways are the highways in the sky and interconnect major airports using centerlines established by radio navigation aids, traditionally ground-based, but now sky-based, through the use of satellite transmitters (GNSS). Airway sare commonly used by private pilots during cross-country flights, but most commercial air traffic is restricted to on airway flying especially commercial flights conducted at the lower levels. importantly, most of this commercial traffic is flown using IFR rules (Instrument Flight Rules), where air traffic controllers are responsible for the separation of aircraft. 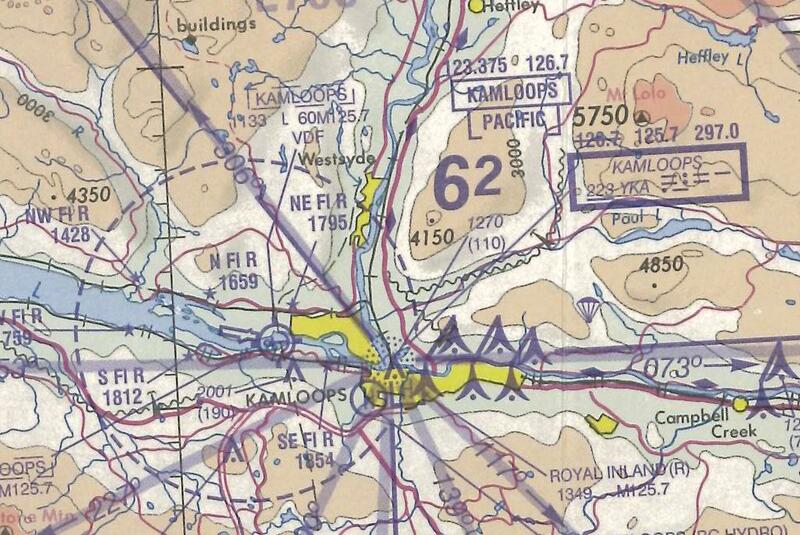 The above depiction is a section of Jeppesen IFR enroute chart which depicts the airways as they existed at the time to the southeast of Calgary; note that there is limited geographic data on the chart as its primary fuction is to provide data for radio-based navigation. Central to IFR operations is the assumption that aircraft are operating in cloud condition and pilots cannot therefore provide visual separation amongst themselves. Separation of aircraft is provided by the air traffic controller. The airspace dimensions surrounding airways, which is always controlled airspace, and often restricted, must be known by private pilots for the purpose of avoidance. Private pilots can only enter the airspace surrounding an airway when conditions are the VFR, and are restricted from airway airspace when the weather is below VFR minimum conditions. Student pilots must therefore learn how to map out the boundaries of these airways. Class E airspace between VHF Omni Range (VOR) transmitters and LF/MF (Non-Directional Beacon or NDB) transmitters form airways. Airways between VORs are referred to as Victor Airways (V21 for example). They have a minimum width of 4 NM on either side of the VOR, which expands by 4.5° from the centre line. Airways between NDBs have the same base and ceiling, but their minimum width is 4.34 either side of the beacon, and expands at the rate of 5° from the centre line. The special weather minima for airways are described below (see other controlled airspace). Control Zones surround specified airports indicated on charts. They usually have a 7 NM (nautical mile) radius and extend from the surface to 3000’ AAE (above aerodrome elevation). They may be designated Class B, C, D or E airspace. Class B, C, and D Control Zones have control towers, while Class E control zones do not. Control zones are the only instance where control airspace—as well as the associated higher weather minima described below—extend to the surface. The purpose of control zones is to restrict VFR aircraft from operating in the vicinity of the airport when IFR traffic is making instrument approaches in conditions of low ceilings and poor visibility. Control Zones associated with larger airports are commonly surrounded by Terminal Control Areas, Transition Areas, or Control Area Extensions, shown on charts. This expanded controlled airspace is designed to provide separation between aircraft in high-density traffic areas or separation between IFR and VFR traffic. Large transport aircraft, for example, will require more than 7 NM to descend for landing. At Vancouver International Airport there is a 7 NM Control Zone; but surrounding the Control Zone is 45 NM radius Terminal Control Area (TCA) which has the dimensions of an inverted “wedding cake”; as you get closer to the Control Zone, the floor of the TCA gets closer to the ground in accordance with numerous “step down” sectors. 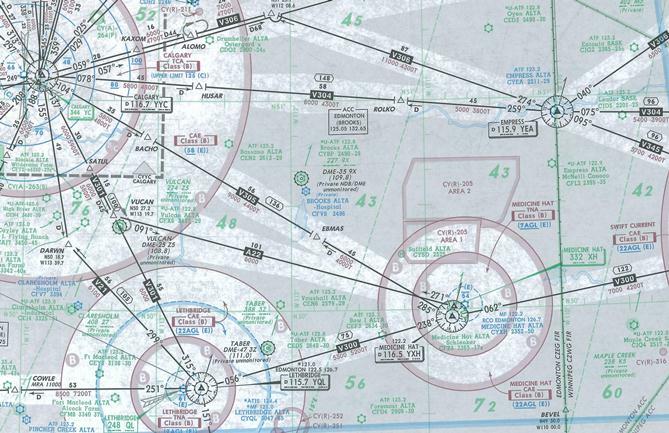 The rules of the Vancouver Control Zone (Class C Airspace) are the same as the Vancouver TCA—a clearance from ATC is required prior to entry, Mode C Transponder, etc. While TCAs are either Class C or B (normally Class C), Control Area Extensions and Transition Areas are a lower grade of expanded controlled airspace; a clearance is not required to enter Control Area Extensions or Transition Areas, but higher weather minimum are required when flying in these areas. Flight in all airspace is restricted to conditions above established weather minima—distance from existing clouds and flight visibility. Pilots must know the minima. As discussed above, there are two rules—weather minima for controlled airspace, and minima for uncontrolled airspace. Within controlled airspace, a further distinction is made for flight within Control Zones, and, within uncontrolled airspace, a further distinction is made for flight at or above 1000’ AGL and flight below 1000’ AGL. Accordingly, VFR weather minimum varies with the following airspace categories, described in the table (above). When the weather in control zones (described above) is below VFR conditions (3 miles visibility and a 1000’ ceiling), VFR pilots can still conduct arrivals and departures, but only if they receive what is referred to as a special VFR clearance. Special VFR is never offered—it must be requested by the pilot. The request is normally provided, except when the VFR aircraft may be in conflict with IFR aircraft. The minimum for Special VFR is 1-mile flight and ground visibility (when reported). At night Special VFR will only be authorized for the purpose of landing at a destination airport. This requires the pilot to be VFR-OTT rated and the weather minima are based on both the destination airport and the “cruise” portion of the flight. When flying the Southern Domestic Airspace above 3000’ AGL, VFR flights flying west-bound (magnetic track of 180° to 359°) must fly at even 1000’ altitudes plus 500’; when flying east-bound (magnetic track of 360° to 179°) VFR flights must fly at odd 1000’ altitudes plus 500’. Remember that true tracks are used in the Northern Domestic Airspace. The rules for altimeter use vary between the Southern Domestic Airspace and the Northern Domestic Airspace (see P. 62). The Southern Domestic Airspace is referred to as the Altimeter Setting Region, and in this region the altimeter must be continually set to the nearest reported altimeter setting. Before takeoff, the altimeter must be set to the airport reported setting, or, if not available, the airport elevation. During flight, it must be set to the setting of the nearest reporting station (FSS or control tower). Prior to landing, it must be set to the destination airport if available. Northern Domestic Airspace is referred to as the Standard Pressure Region, where it is required that the Altimeter be set to 29.92”Hg—known as standard pressure. The exception to this is prior to descent for landing and before taking off, when the airport setting, if available, or elevation is required. When standard pressure is used by the pilot, he must refer to his altitude as “flight level” where, for example, 5,500’ is Flight Level 55 (FL055). A Flight Plan (see copy, P. 208) must be closed by way of filing an Arrival Report with ATS no later than the Search and Rescue Action Initiation Time (SRAIT) specified in the flight plan, or, in the event an SRAIT was not specified by the pilot, no later than 60 minutes after last reported estimated time of arrival (ETA). After these times search and rescue action is started. Flight Itineraries can be used instead of Flight Plans. The Flight Itinerary can be filed with ATS or left with a “responsible person”—i.e., any person who agrees to notify ATS if the aircraft does not arrive within the required time limits. Where a Flight Itinerary is used, the pilot must report his or her arrival prior to the SRAIT (where an SRAIT has been specified) or within 24 hours of the last reported ETA. The SRAIT or 24 hours is also the time at which the responsible person must report the overdue status to ATS. The content of a Flight Itinerary is identical to the content of a Flight Plan. Note that the responsible person must be advised how to advise ATS of overdue status. NOTAMS—which stands for Notices to Airpersons—are notices issued to pilots concerning the establishment, condition or change in any aeronautical facility, service, procedure or hazard. The system of NOTAM distribution is designed to be timely, and it is accessed by pilots through personnel employed at Flight Service Station (FSS). Normally, NOTAM information is provided to pilots when they obtain a weather briefing from FSS. The idea is that a pilot who obtains a pre-flight briefing that includes NOTAMS will be informed of all up-to-the-minute information related to the flight. When pilots obtain NOTAMs from FSS, they are interpreted and summarized by the FSS Specialist. If you are required to read NOTAM text (which is quite rare), it is important that you understand the validity times. In the example presented above, the NOTAM—which informs pilots of the closure of the grass runway at Langley Airport (CYNJ)—has a continuity number (the first two numbers in this sequence being the year of issue, and the remaining numbers being the number sequence within that year). The grass runway is scheduled to be closed until approximately 1600 UTC on May 6th. Because the expression “approximately” has been used, it is required that a cancelling NOTAM be issued before the runway is re-opened. Air Defence Identification Zones, or ADIZ, are established in the coastal regions of Canada.9 A Flight Plan or Flight Itinerary must be filed with ATS for any flight in an ADIZ (there is facility for “air filing” where ground communication is not possible at the departure airport). For VFR flights the Flight Plan or Flight Itinerary must indicate the estimated time and point of entry into the ADIZ. If there is a change in the routing or ETA of ADIZ penetration, ATS must be advised. Also, within an ADIZ or other Canadian Domestic Airspace, pilots must be aware of security state referred to as ESCAT, which means Emergency Security Control of Air Traffic Plan. When ESCAT is established, all takeoffs must have prior approval from ATS and pilots must land when required to do so by ATS.10 ESCAT procedures are tested from time to time by way of a radio broadcast and will not disrupt normal flight other than the requirement to provide an acknowledgement to the test message. All aeroplanes must be operated with an ELT on board (CAR 605.38).11 Aeroplanes may be operated for up to 30 days without a serviceable ELT provided the ELT is removed for repair and is sent to a maintenance facility, and a readily visible placard is placed in the cockpit indicating the ELT has been removed and the date of removal (CAR 605.39 [1, 2]). There are three types of priority radio communication that are recognized which are related to safety in air operations. At the top of the list is what are referred to as distress radio transmissions. The radio format for a distress is the MAYDAY repeated three times, followed by the aircraft identification repeated three times, and is to be used when the aircraft sending the message is threatened by grave and imminent danger and requires immediate assistance. A distress message can only be sent under the authority of the Pilot-in-command, and all stations—air and ground—must cease any transmission so as to ensure communications from the distressed party are not blocked or interrupted. Next are urgency radio transmissions. The radio format for an urgency is the work PAN repeated three times, and it is to be used whenever the aircraft sending the message has an urgent communication related to the safety of a ship, aircraft, or some person on board one of these, or a person in sight. Normal communications must be suspended until the matter is resolved. The third priority in radio communication is referred to as safety messages. The radio format for a safety massage is the word SECURITY repeated three times, and this is used when the transmitting station is about to broadcast a message to aircraft during flight pertaining to the safety of navigation or weather (warnings). Unless otherwise advised by ATC, transponder should be selected on Code 1200 for VFR flight at or below 12500’ ASL; above 12500’ ASL, Code 1400 should be selected. Dedicated codes also exist for communication loss and flight emergencies; in the event of a communication failure, Code 7600 should be selected; in the event of an emergency, Code 7700 should be selected. It is illegal to refuel a private aircraft with the engine running, or while passengers are on board.13Note, however, that there are provisions for commercial aircraft operators to fuel with passengers provided specified safety guidelines are followed (see, for example, CAR 704.33 (1)). For the purpose of training, a private pilot can fly any aircraft provided no passengers are being carried and he/she is under direct supervision of an authorised person. If a private pilot wishes to fly with passengers, he or she can only fly an aircraft category, class, or type that is endorsed on his licence. To fly with passengers, a pilot must have flown at least five takeoffs and landings in aircraft of the same category and class within the preceding six months. To fly with passengers at night, the required five takeoffs and landings must have been flown at night within the preceding six months. The Minister of Transport has the authority to cancel or suspend your licensed privileges under two conditions: he has reasonable grounds to believe you have violated any provisions of the rules and regulations that govern flying, or he has reasonable grounds to believe you are incompetent or medically unfit to fly. A pilot is required to desist from flying when he is aware of acquired physical disabilities that make him unable to pass his medical. 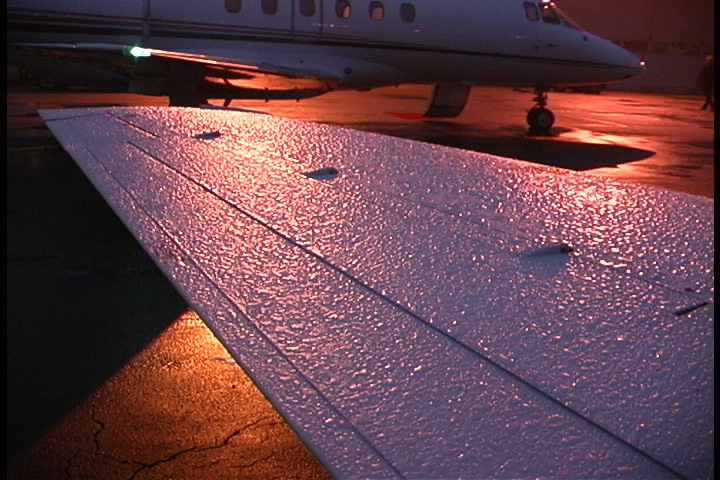 With spinal or general anaesthetics, a pilot should not fly until a doctor says it is safe to do so. With respect to local anaesthetics involving extensive procedures (such as the removal of several wisdom teeth), a pilot should not fly for 24 hours. The strongest vortices are generated by heavy weight, clean configuration, at slow speeds. Accordingly, the worst is a heavy jet during touchdown and takeoff phases. Helicopters produce dangerously concentrated vortices. It takes 2 minutes for the strength of vortices to dissipate (the smoother the air [non-turbulent], the slower the dissipation). During touchdown, the generation of vortices does not stop until the jet’s nose-wheel touches down. During takeoff, the vortices are generated as soon as the jet rotates. 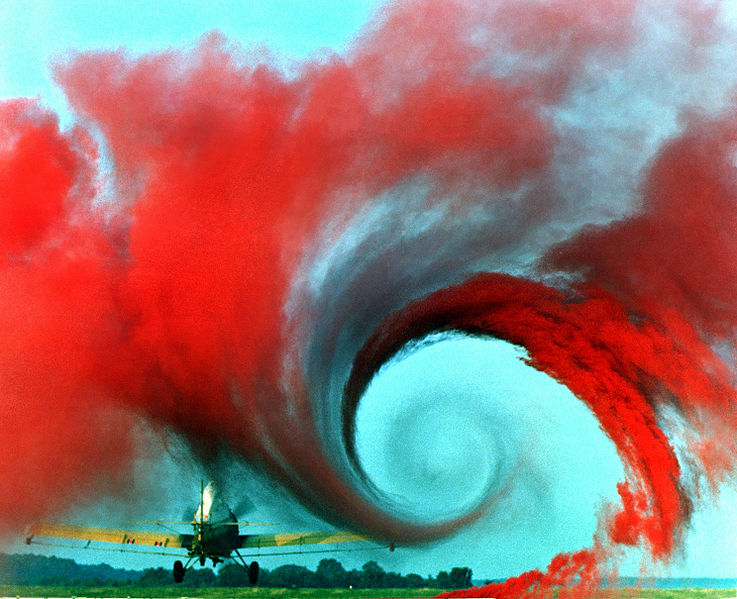 Vortices tend to spread out at a speed of 5 KT. A 5 KT crosswind can therefore hold one of the vortices over the touchdown or takeoff area, or cause them to migrate to adjacent runways. All aircraft certified for a maximum takeoff weight of 300,000 lbs. or more. Aircraft certified for a maximum takeoff weight of between 12,500 and 300,000 lbs. Aircraft certified for a takeoff weight up to 12,500 lbs. inclusive. any aircraft departs from the threshold of a parallel runway located less than 2,500’ from the runway just used by a heavy aircraft. the controller has reason to believe that the following aircraft will require more runway length for takeoff than the preceding aircraft. It is crucial for safety that all pilots realize that, while ATC is required to issue wake-turbulence cautions, avoidance is solely the pilot’s responsibility. A taxiing jet or turbo-prop aircraft can produce winds in excess of 60 KTS. The pilot has sole responsibility for jet blast avoidance. The following apply primarily to unpressurized aircraft, but are applicable to the cabin-pressure altitude of pressurized aircraft. When flying for more than 30 minutes above 10000’ sufficient oxygen and equipment must be available for 10% of the passengers (not less than one passenger) for the entire period exceeding 30 minutes. When flying above 13000’ there must be available oxygen and equipment for each passenger sufficient for the entire period above 13000’. Above 13000’ all passengers must wear and use oxygen equipment. It is required that the following be carried on board aircraft: flight crew licences, including Medical Certificate and radio licence; Certificate of Registration and Certificate of Airworthiness (including annual inspection report); aircraft and pilot radio licences; aircraft Journey Log (when it is planned that an aircraft will land and shut-down at an airport other than the airport of departure). The Pilot Operating Handbook, interception orders , and aircraft weight and balance report must also be on board. The Pilot Operating Handbook must be accessible to the pilot at his or her station. Operational and Emergency Equipment Requirements for Aeroplanes are set out in Canadian Aviation Regulation 602.60 through 602.63. Each crewmember (excluding passengers) must have access to a functioning timepiece and, when operating at night, a functioning flashlight. With respect to flight over water, a single-engine aircraft operating beyond gliding distance from shore must be equipped with one lifejacket for each individual on board.24 The lifejackets must be stored on board in a fashion so as to be easily accessible to person for whom it is intended when that person is seated. With respect to a multi-engine aircraft unable to maintain flight with any engine failed, the above 100 NM or 30 minute above rule applies. In the case of multi-engine aircraft capable of maintaining flight with any engine failed, the distance is extended to 200 NM and the time is extended to 60 minutes. A pilot must land when instructed to do so by an air traffic control unit, peace officer, customs or immigration officer, officer of the Armed Forces, or person authorized by the Minister. 1 When you land at an airport with a control tower or a Flight Service Station (FSS), the landing is automatically reported to the operator. When you land at an airport where no such representative exists, the pilot must sign a “registry”—usually posted in the main terminal or office. This is required if you should land at Chilliwack, for example. The registry records the aircraft and pilot information, as well as the arrival and departure time of the aircraft, as well as its proposed destination. In the event that an aircraft is missing, the registries will be used during the search response, so it is important to use them properly. 3 Questions related to the definitions of manoeuvring area and apron commonly appear on Transport Canada examinations. 4 “Unicom” is derived from “universal communication,” and these frequencies are listed in the Canada Flight Supplement. 5 Langley Airport becomes a MFA airport when the tower closes. 6 The ATIS frequencies are published in the Canada Flight Supplement. 8 Weather information is discussed in full at the following link: Weather Information. 10 ESCAT rules came into effect for the first time following the tragic events of September 11th. 11 The exception is multi-engine, turbo-jet aeroplanes operating IFR south of 66° 30’ North Latitude. 12 See the Aeronautical Information Manual (AIM), RAC 1.10.2. The AIP is available in PDF format on Transport Canada’s website. 18 CAR 601.09 (2) provides the same text as CAR 601.09 (2), except is applicable to Class D airspace. 19 This CAR provides provision for NORDO (no radio) aircraft to operate in a MFA when the designated ground station is operating and there is prior co-ordination. 20 Subpart 4 governs “Private Passenger Operations” for turbine aircraft—corporate aircraft, etc. 21 Part VII denotes commercial operations—specifically, Air Taxi (Subpart 3), Commuter (Subpart 4), and Airline (Subpart 5) operations. 22 The specifications that govern position and equipment lights.